Description: July Forward Consignment. 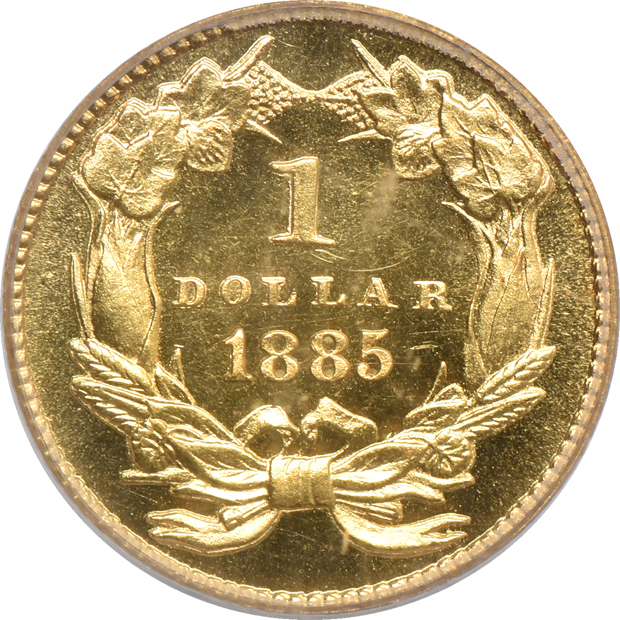 No mistake is possible regarding the proper proof format designation, as thickly textured devices contrast very well with the reflective fields and assure strong cameo effect. Hands down, the presentation is serenely beautiful. 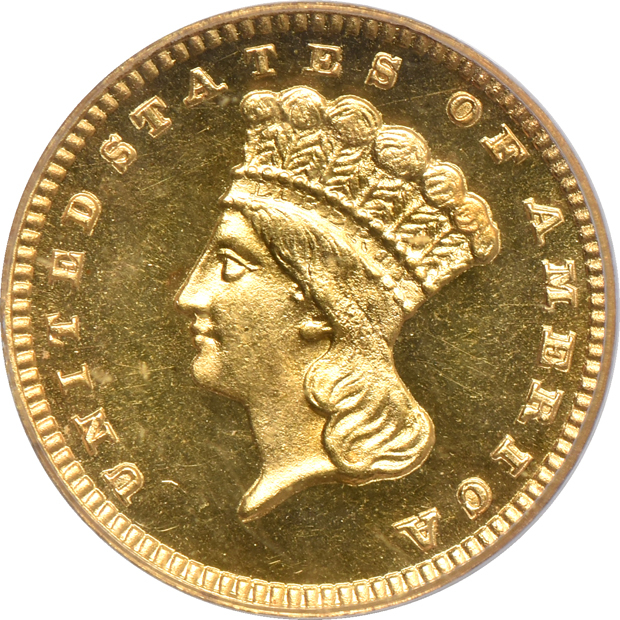 While no nineteenth century proof gold issues can properly be called "common", the proof gold dollars of 1885 saw the peak mintage for the type, with 1,105 struck at the Philadelphia mint. Most in existence are well produced, as is the case here, with extremely sharp definition evident across all details. A very faint copper spot appears in front of Liberty's nose, while a micro-fiber strikethrough that rests next to "U" in UNITED serves as a pedigree marker (scotia).